We live ‘by and through and for ideas’ said AC Grayling at last night’s opening address. But the majority of ideas that we possess, that have shaped us – the way we see and react to the world – are unconscious or at least unexamined. Spinoza said that freedom came from making the ‘inadequate’ ideas ‘adequate’, that is – bringing them to the surface and the real world and examining them, said Grayling, and this is also something that Freud encouraged through psychoanalysis. Why don’t you lay down on ze couch? Grayling’s voice was bright and warm. His book Ideas That Matter aids this ‘spring cleaning of ideas’ through short presentations of ideas in history as sparks for the reader’s examination – things like what ‘the mind’ really is, and on what being ‘good’ means. My favourite part was when he said one of the best ways to examine ideas is reading novels – or narrative art in general (plays, narrative poems etc.). They extend our insight. Dostoevsky, for example, explores morality in Crime and Punishment. Grayling has published a ton of books, and he encourages reading philosophy ‘in the bath’. 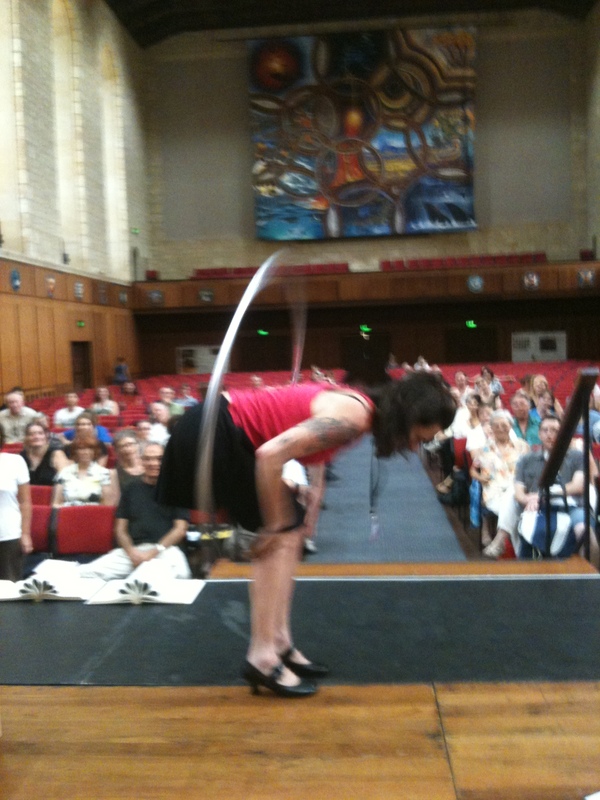 The hula hoop can be learnt later in life, even if you couldn’t spin one as a kid, according to international freelance circus artist Judith Lanigan, whom I was on a panel with yesterday. Her book is A True History of the Hula Hoop. It is really nice not to go to a writer’s festival alone (for the first time). My sister is here with me. We got up early and swam in the pool and ate eggs benedict (Benedict is one of my absolute favourite names). It is way more nerve-wracking to talk to the author heroes of your childhood than the ones you have discovered more recently. One: you don’t want to make them feel old by gushing about loving their books when you were nine. Two: you haven’t actually read their books for years. Three: they steered you on the path of your professional life, by moving you with words at a formative age. This is a pretty big thing. Kinda hard to articulate. Anita Heissis ten times as cool in real life than the online persona I’ve known for about three years now (going back to MySpace days). Seriously, she’s an inspiration (and great fun). I hope I get to hang out with her more during the festival. People in Perth say ‘mint’ for cool, awesome etc. The most brilliant, intelligent authors are often the most humble and down-to-earth. Thanks for the info about the AC Grayling book, it sounds ‘mint’. So did you learn to hula hoop?